Do you need to remove old insulation from your walls, attic or crawl space? Sometimes insulation removal is necessary prior to re-insulation or retrofitting. If you need insulation removal services for your home or building in southern or central Wisconsin, Alpine Insulation can help. If you need old or damaged insulation removed in your southern or central Wisconsin area home or commercial building, Alpine Insulation can help. 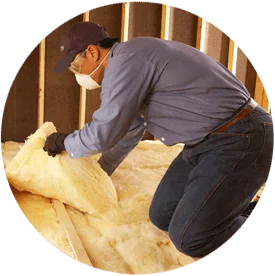 We will remove the insulation, clean the area and install new, high-quality insulation.